Margaret Arlene Kujawa, 89, of Alpena passed away Monday, March 25, 2019, at her home. Margaret Arlene Gagnon was born October 22, 1929, in Flint to the late Ernest and Leona (Pamerleau) Gagnon. On September 2, 1950, she married Robert Kujawa. 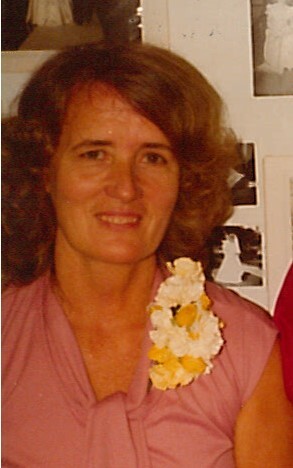 Margaret worked as an LPN at Alpena General Hospital, retiring in 1988. She was a member of All Saints Parish and Aide by the Dozen. Margaret enjoyed playing bingo, bowling, the casino, and traveling. Surviving are her husband, Robert; daughter, Kelly; three sisters-in-law, Maxine Gagnon, Pearl Gagnon, and Grace Gagnon. Margaret was preceded in death by five brothers, Dallas, Frank, James, Gerald, Eugene; three sisters, Doris Arthur, June Daoust, and Shirley Butterworth. Visitation will take place at Bannan Funeral Home on Wednesday from 2-8 p.m. with a parish prayer service at 6 p.m. Visitation will continue Thursday at St. John the Baptist Church of All Saints Parish from 10 a.m. until Mass of Christian Burial at 11 a.m. with Rev. Joseph Muszkiewicz officiating.